While divorces tend to pull our attention to the often life-changing issues of child support, child custody, alimony, and marital asset division, one very important aspect of our lives that can “slip through the cracks” is our credit rating. Not only can issues on joint accounts damage your own personal credit score, they can continue to do so even after your divorce has been resolved, and you assume that you no longer have any joint accounts or joint debt with your former spouse. In addition, repairing a damaged credit rating takes time and effort, and is not something that can be accomplished overnight. With these concerns in mind, our Ocean County divorce attorneys will today discuss several ways you can repair your credit rating after a divorce, as well as several things that can be done during the divorce process itself to protect your credit rating and debt responsibilities moving forward. Checking your credit report regularly is something most financial advisers will urge you to do. Especially when it comes to a divorce, checking your credit report can alert you to things like unauthorized purchases, over-stretched credit lines, and at the very least give you a good idea where your credit stands before you finalize your divorce. You can obtain a credit report (for a small fee) from credit reporters like Experian, Equifax, and Trans Union at any time, or you can use FreeCreditReport.com to check your credit once a year. There are also a host of websites and tools available to help you understand exactly what you are looking at when you run a credit report. Now that you have an idea where you stand with the credit agencies, both as a joint entity as well as your own individual credit report, it is highly recommended that you close all joint credit lines (realistically, this step should be taken as soon as the decision to divorce is taken). While closing joint credit cards will not erase whatever is currently owed, it will prevent any further debt from being accrued. In the worst case scenario, angry or irrational spouses will run up credit lines for any number of reasons. In a more rational situation, closing joint credit cards is simply a prudent measure taken to reduce the complexity of the eventual equitable distribution agreement, and begin rebuilding each party’s individual lines of credit. Remember, cutting up a credit card is not the equivalent of closing down the account. Make sure to call the credit lender, and receive in writing proof that your joint account credit line has been closed. Most divorce attorneys will recommend that as much jointly-owned debt be paid off as possible as part of a divorce’s equitable distribution agreement. Joint savings and checking account funds, and proceeds from the sale of a family home or family business are often used to pay down marital debt before dividing the remainder between the parties. This is largely due to the fact that many creditors are not beholden to family court decisions. In other words, many types of credit agencies (such as mortgage lenders) are free to hold either party responsible for repayment of jointly incurred debt regardless of the fact that the divorce agreement states one person or the other is responsible for its repayment. By paying-off jointly held debts as part of the divorce settlement agreement, both parties can feel more secure in the knowledge that their individual credit will not be damaged should their former spouse fail to make timely or full payments to credit lenders. Like it or not, much of what we now do is done on credit. Things like buying a car, going to school, and especially buying a home are almost done so by taking out loans. The better your credit score, the easier these things become, and the better the interest rates offered to you will be. If much of your credit history was tied to joint accounts with your spouse, you should consider opening a few lines of credit by yourself after your divorce in order to begin building your own individual score. 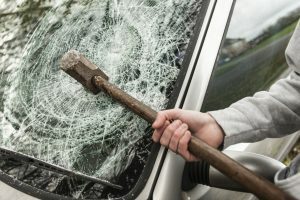 Or, if your own credit score has received a few “dings” thanks to issues with joint credit lines, make sure that you stay on top of credit payments for the foreseeable future. 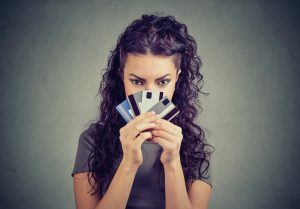 Credit agencies like to see cards which have 30% or less of their maximum limit used, so if you can keep your cards below this sweet-spot, your credit will begin to tick back up. Of course, regardless of your credit situation, it is always advisable to work with a financial planner of some kind during and after a divorce, as they can help you to organize a budget, account for new expenses or support payments like child support and alimony, and financially prepare for the next phase of your life. 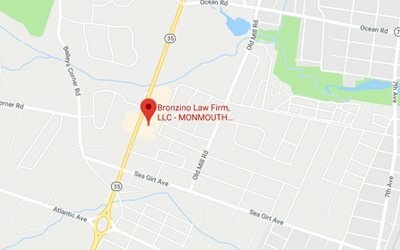 At the Bronzino Law Firm, we have extensive experience helping clients to reach fair, situation-specific, and smart divorce agreements, including the division of marital assets and debts, across the greater Ocean and Monmouth County area. Attorney Peter J. Bronzino has built his practice on the belief that when it comes to family law, the only way to reach the types of resolutions which account for a client’s particular needs, concerns, and unique situation is through high levels of communication, attention to detail, and ultimately knowledgeable and effective legal representation. 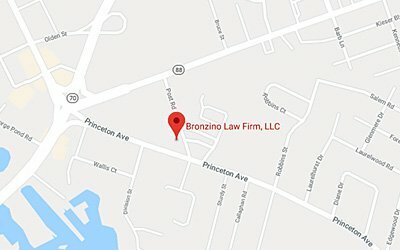 To speak with Peter Bronzino and our legal team today regarding your divorce, the division of marital assets and joint debt, or any other family law or divorce issue such as child custody, child support, or alimony, please contact us online, or through either our Sea Girt office or our Brick office at (732) 812-3102.